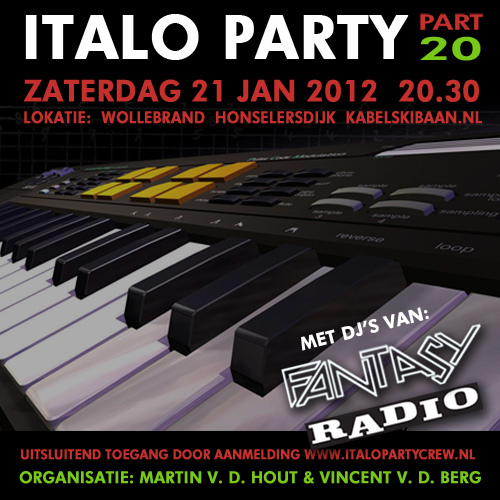 The next WOLLEBRAND Italo Party will be on the 21st of January 2012. It will be the 20th edition and a number of our FANTASY RADIO DJ’s will play the music at this party!! Location as always at the Kabelskibaan in Honselersdijk. We will try to broadcast this party live on our stream.